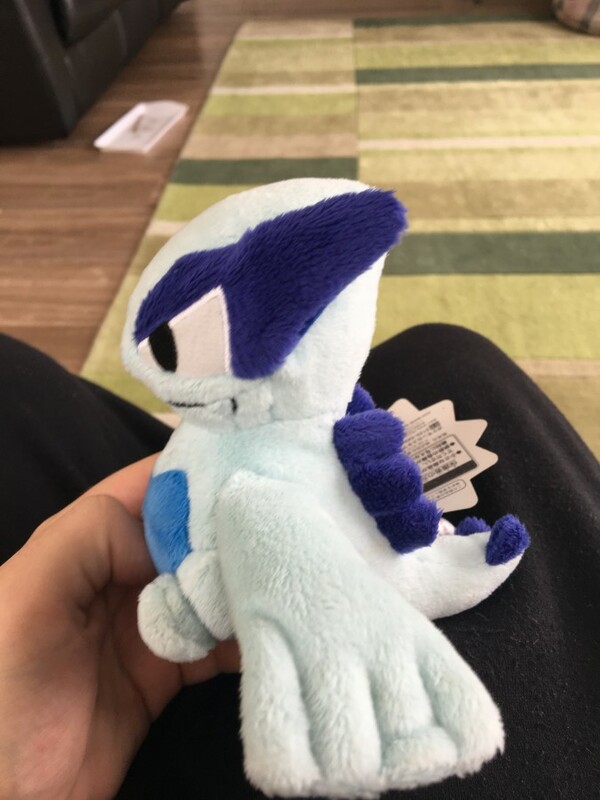 I bought a Lugia Pokedoll through checking on eBay.com and checking if they can ship to the UK. (They did). While, i'm grateful for the service and I'm probably wrong. But I am horribly paranoid over everything like this. So I apologise in advance. 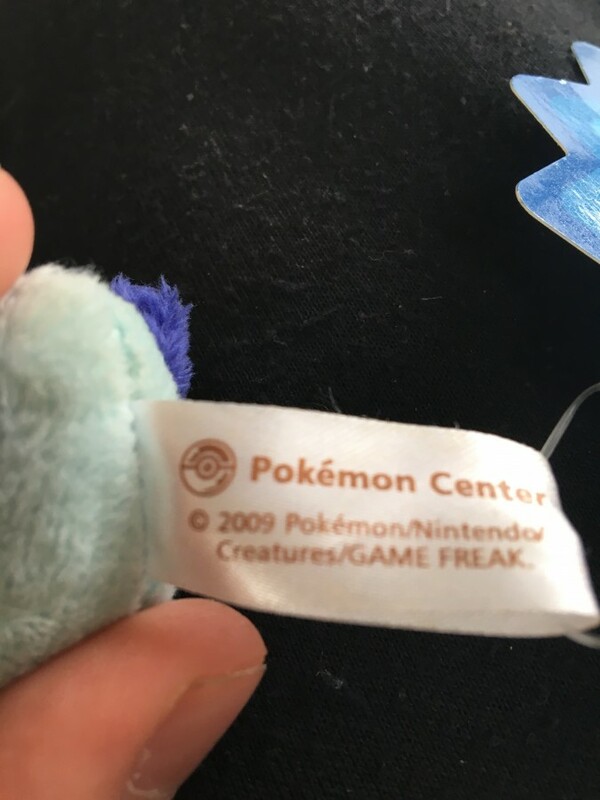 But would it be possible to check if the authenticity of this pokedoll. It does have a crook in the neck, but so do some of my other pokedolls and I'm not bothered by it. 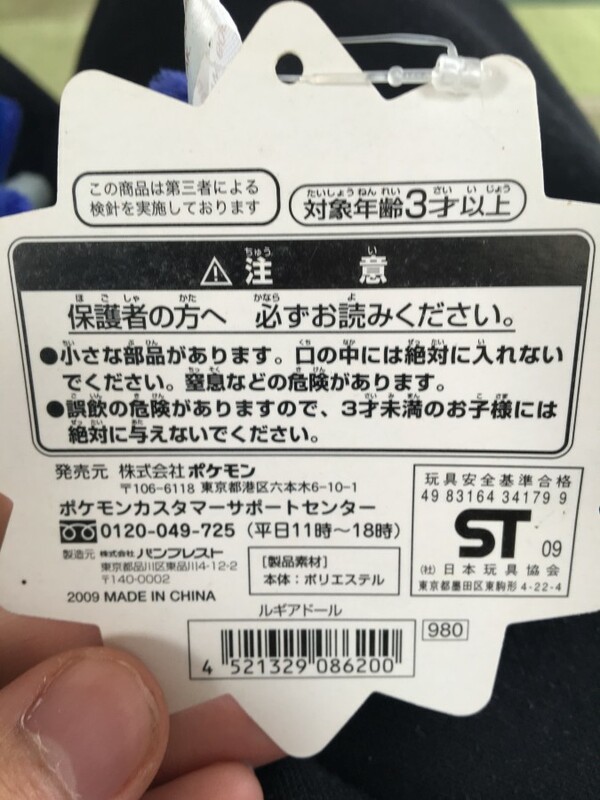 But the underside of the tag feels wierd but that can be normal. 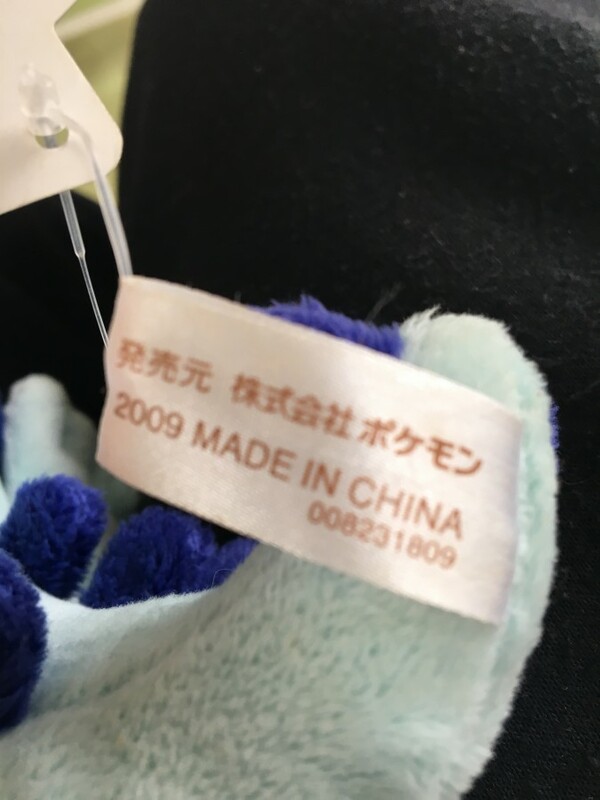 It's a 2009 model with the hangtag and everything. I'll post the pic in the spoiler. 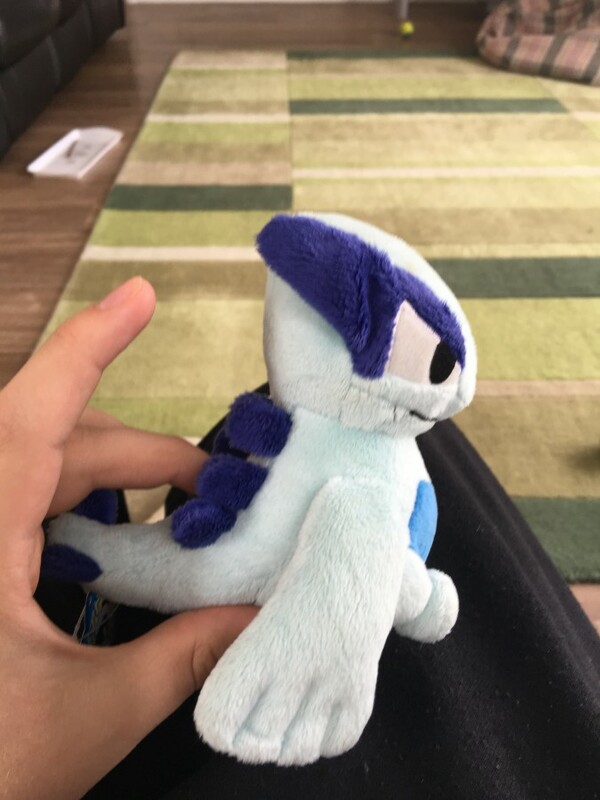 The plush has darker colouring to the eyes and back spines. (Unlike a normal purple ones found on bootlegs). The head is not buried into the neck. So I doubt it is but I'm silly with these things. Thank you so much for all of the help. Money sent. Hope everything went okay. Looking for a US middleman willing to ship to the UK. I found something that I was recently looking for as a grail but it dosen't ship to the Uk. Long story short would anyone would be willing to be a middleman from the Us to the UK. Hello the people who follow me now and in the future. I have not posted anything in a long time. Whether it is on the pkmncollectors community or on my personal account. Its not because I'm busy its because I forget I can post here. Lazy me, its also because nothing to eventful is happening really, still looking for work and been doing a lot of dog walking. So I'm going to start posting here more often as I go on my gap year. Like a blog. I'm still looking for a job is the first thing I have to say really. This is because its been hard finding work on the island, even though its easy to imagine that work will pop up in summer time. But most jobs have taken by people around my age working for money to go to university or to keep going to uni. Its been a big regret not finding a part time job back in the beginning of sixth form or before. But it can't be helped, actually there is a job opening at a hotel in a nearby village. But I am not only looking for work but rather I have applied for three jobs anyway. Its all to buy a rare pokemon plush and save money for university. I could sell some of my pokemon merchandise but i don't want to get rid of the legit stuff and I am very sentimental with my stuff like that. Ha. Moving on I finished watching Kamen Rider Ex-Aid as a series. Its been the best Kamen rider series I ever watched and it made me cry with happiness in the end. I'm also going to try and start watching studio ghibli films starting with Spirited away as the beginner. Not much to talk about now but I will write soon. 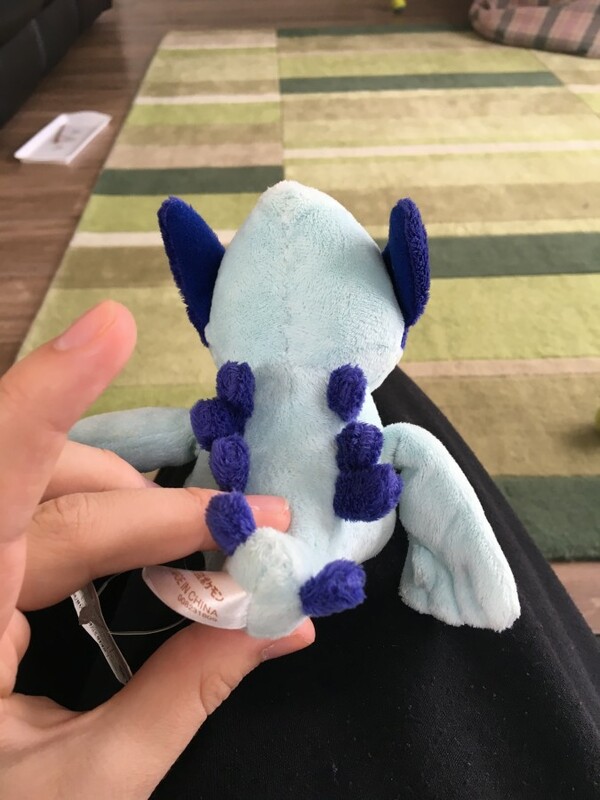 Careful warning with Raikou, entei and suicune pokedoll on ebay. Long time no say, I was busy till the end of June with exams and I'm slightly busy with helping my father fix up the house so we can move. This is also on top of finding a job that I'm happy to do, applied for a apprenticeship in a travel agents which I'm not likely to get but it is worth the try though. Then there was the mass game of thrones marathon watching to catch up... Right I laready did so much, but I'm not going to talk more due to I am badly getting off topic. I'm back to make my last post before the new years to do with what I collect. Pokemon plush. I'm going to present my collection as it is now over the year and demonstrate my want list. Well enough chit chat. Let's get the party started. (Why do I feel like I'm talking to myself). Now moving of plush for a second here is my manga collection of 1st/1/2017. I will update each list once I got what I want, have a new want or a collection update. It's been a while now that I have last posted and especially my posting about my pokemon collection. Since it's been a while, I thought I might as well do an update. Since the main collection post I didn't collect much as this summer I haven't gone far (except for a cruise) and the times I looked never had much pokemon stuff, hopefully I can get more before my school break is finshed. But the four plushes you see is what I obtained so far to which and I will explain how I got them in order. (Excuse the mess by the way, typical teenager room). Leafeon- Despite being a bootleg, I found him in a second hand game shop. They were expanding on merchandise and I herd the cashier saying he had pokemon plush. Kyogre- Got him in a sale not long ago actually. Thank you so much pkmncollectors as I know have groudon and kyogre. 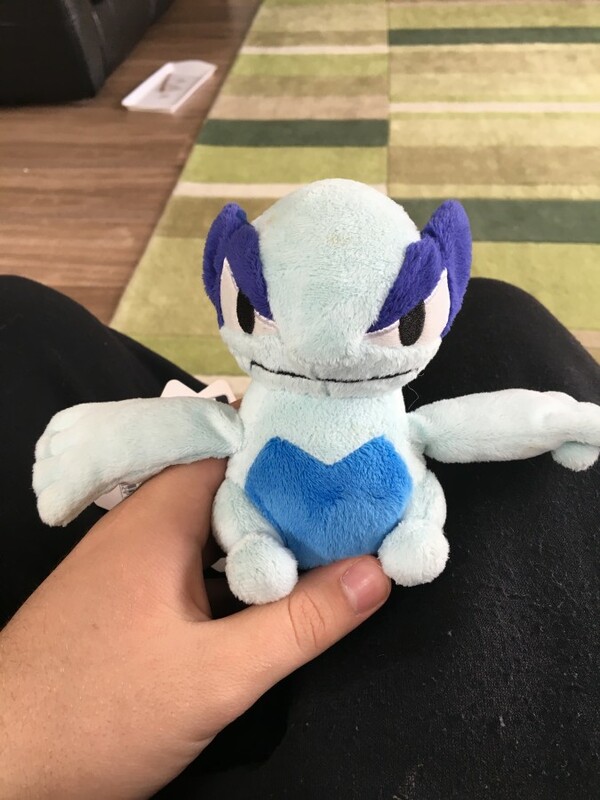 Celebi- My mother and sister got lost and found a partial anime store selling pokemon plushies on a day out. I made it my summer goal to go to that store and buy more plush. 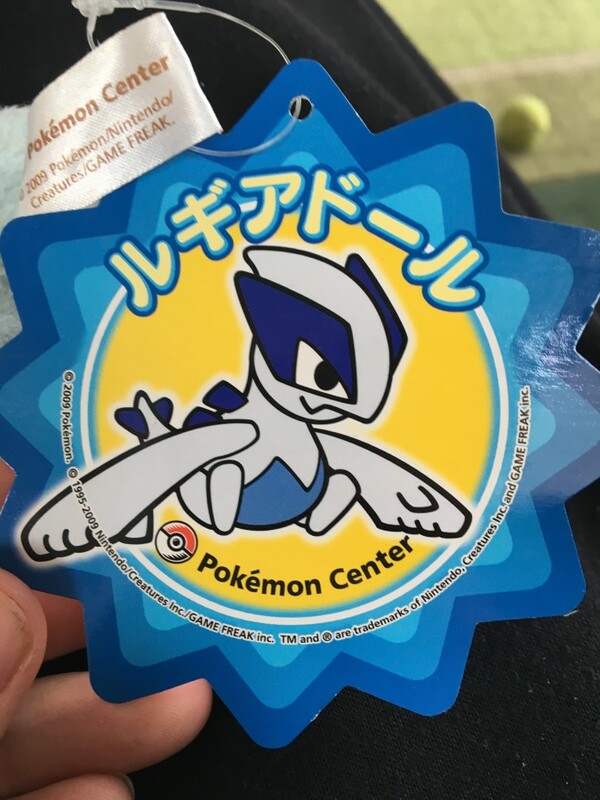 Amaura- Found it while scouring through amazon looking at japanese sellers. It did not come with a bag like my tyrunt did. But I'm glad I the same type as my tyrunt is. Hello all whoever may be reading this, my name is Angrygroudon (well my username) and I'm here to talk about myself. I'm a student who has finished his first year of A levels and moving onto his second year of A levels. In my school, I will not name for obvious reasons, I'm normally considered to be a friendly guy and friends with quite a lot of people there at the sixth form. This trait has been noticed by the teachers as most teachers like me. I was once considered a perfect student. My goal is to go to university (that is whether I get the grades) to study criminology, criminology is a subject which I am not really familiar with but I want to study and wouldn't mind taking a coarse in. I maybe a noob at it but when summer break I'm going to contact criminology teachers in universities. Plus the second year of sociology is mostly criminology. If I don't get the grades then I have decided to go to Japan for a holiday. Too which I hope to do if I do go to uni anyway. Anyway back on topic, I'm a huge fan of Pokemon and have been playing since Ruby and Sapphire. Over the years, okay less than 2 years ago, I've decided to start watching other anime like Attack on Titan, Fullmetal Alchemist and Fairy Tail. One thing always remained over the years and that was my love for dinosaurs and Pokemon. I do have a liking to palaeontology and I do geology as an A level but meh... Carrying on, I've been collecting Pokemon plushies for a quite a long time. When I was a young-ling, the Pokemon centre in New York was still open and woolworths (such a great store) sold Pokemon plushies. After getting a dialga pokedoll for christmas after moving. That is when Pokemon plush hunting came hard, to be fair I was still a kid. After the Christmas of 2009 I started collecting more Pokemon plushies and now my collection has completely grown. While I may say it needs a large amount of variety like more eeveeultions and other Pokemon. But it's coming on nicely I have to say, I mostly used ebay or amazon but after a while I couldn't get much of an option unfortunately. However after hearing about the pkmncollectors where people show of, which I plan to do, it seemed quite the interest. Especially that people buy/sell as well. I've applied a couple of days occur but haven't been accepted yet. Hopefully I get to join soon and meet other great people. Thanks for your time for reading this. Hopefully I can make new friends to add to my large amounts of friends. It was Kamen rider Frouze who stated that he wants to be friends with everyone. Next time I will talk about my collection, I will show you my collection of my plush and my blue cat called Happy (Heh Fairy Tail). Until next time, CYA.